Zuffa llc, the parent company of the Ultimate Fighting Championship, has bought out mixed martial arts' second largest promotion, Strikeforce. The acquisition could mean only one MMA video game going forward. 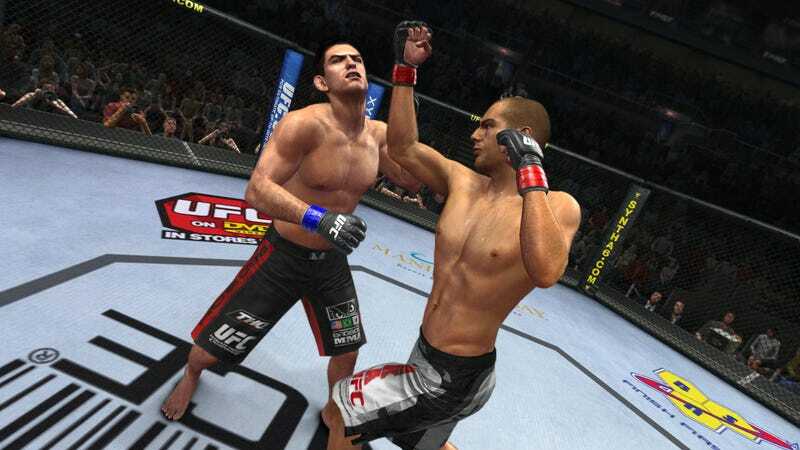 EA Sports MMA was reviewed positively and praised for its controls, which placed strikes on the right analog stick and moved transitions and grappling to the face buttons, the reverse of UFC Undisputed 2010. THQ in August announced that UFC Undisputed, which also had a 2009 edition, would skip 2011 and move to an every-other-year production cycle. Kotaku contacted an EA Sports representative for the publisher's reaction to the deal. Any statement will be updated here.